I've seen a lot of funky manicures in last months and I'm wondering if they are returning to our hands. Nail art was a big thing in the 90's, I remenber I had this magazine cutout featuring nails with sequins decorations and I loved it, but I never tried it. In the 21st Century it all started with Minx, the adhesives with patterns and metalic colours that you stick to your nails. Minx started to pop out in 2008 after a video of Beyonce using gold minx nails. I'm sure is ladies below fault if we start doing manicures that look like mussels ! 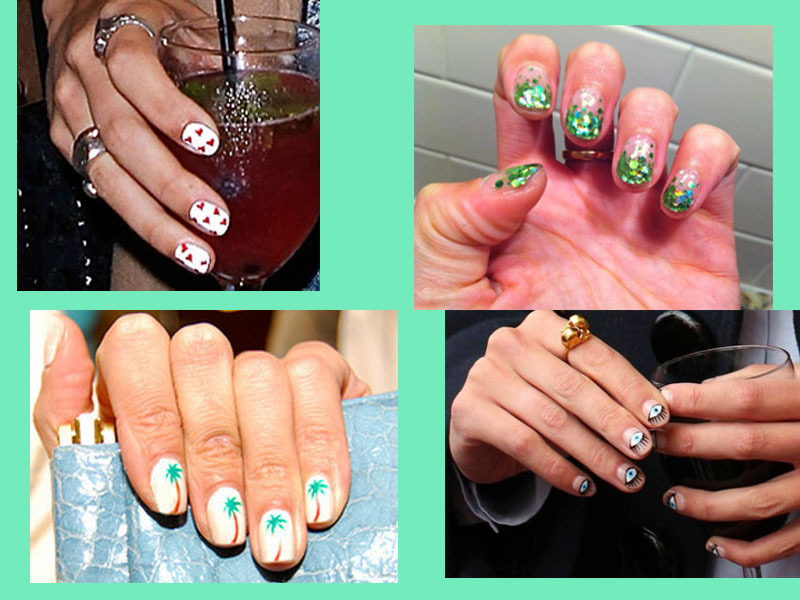 Funky Mani mania influenced by singers as Lana Del Rey; Lady Gaga; Adele; Beyonce; Katy Perry; Rihanna. 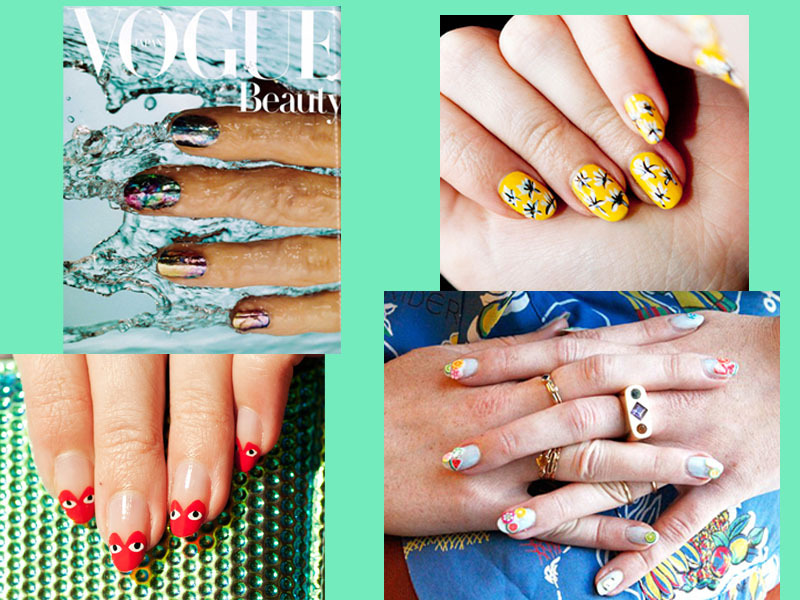 Vogue Nippon featuring galaxic nails. Fancy manis. 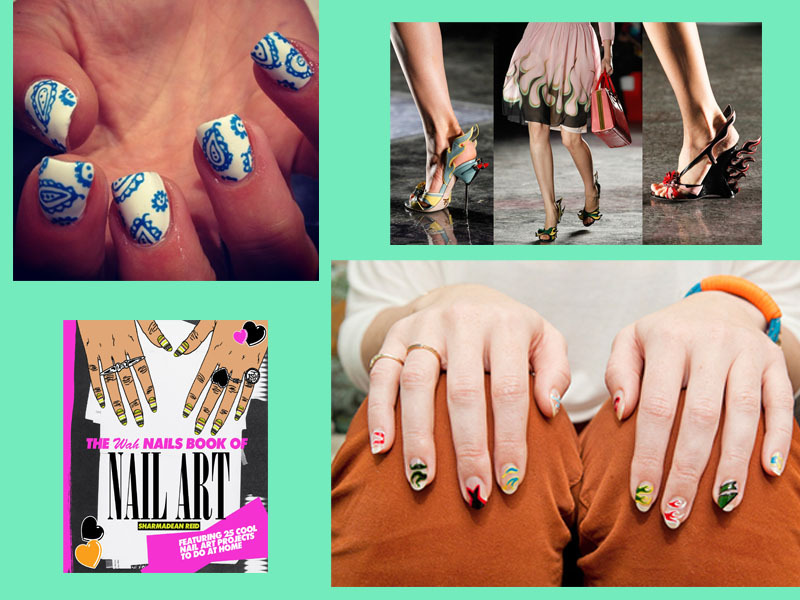 Top left nails from Wha Salon, East London's hippest nail salon that just released a book (down left); top right and down: Prada inspired nails from this blog moveSlightly . My discrete version of nail art,if you can call it art ! you didn't take the picture of the icecream lady with the cow nails.